When is it time for a new appliance? Use the 50-50 rule to decide if it’s time to repair or replace large appliances in your home. Depending on how often you use large appliances like washers and oven ranges, they may last a few years or a decade or more. No one likes to get stuck with a broken machine. Here are guidelines on when to repair or replace. Plus, read about signs that your appliances may be nearing the end of their useful life. If your appliance is less than a year old, it’s probably covered by the manufacturer’s warranty. If you paid for the appliance with your Mastercard® debit or credit card from Consumers, the manufacturer’s warranty may be extended by up to 12 months. Many folks go by the 50-50 rule. 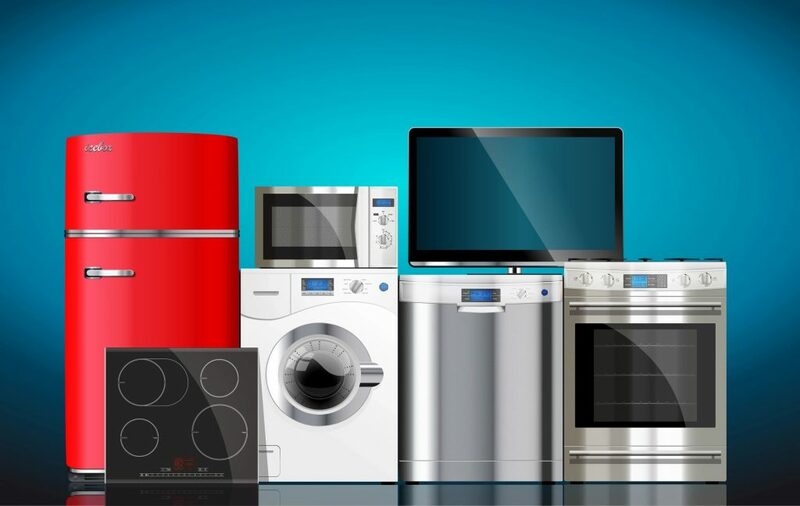 If the appliance has reached 50 percent of its expected life and it costs more than 50 percent of the cost of new, buy a new one. Oven failures can start with underperformance. For example, a family favorite just doesn’t come out like it used to. Or, preheating takes longer than before. A cracked glass door means heat escapes and food takes longer to bake. Also, if you have an electric bill that’s higher than usual without explanation, it could be because of an oven malfunction. Does it take longer than before for clothes to get dry? Check the lint trap and vent pipe for buildup. If these are clear, your dryer is failing. If you notice a burning smell or the outside of the dryer feels excessively hot, something is amiss. Could be lint buildup or something more serious. Stop using the machine immediately. If there has been a fire – even if you put it out quickly, it’s time for a new dryer. Internal parts and casings could have melted. If it is time to buy a new appliance, you’ll be getting a machine that’s more energy efficient. Plus, you’ll get the peace of mind that comes the latest safety features. Consumers helps more than 1,000 members finance their homes and home improvement projects each year. When you need a mortgage or home equity line of credit, call us at 800-991-2221. We’re here to help you get the home of your dreams!